We believe that a perfect monitor sound is the key to a perfect live performance. In-ear monitoring can be the best way to go but, with the compromise of stereo, musicians are often insecure due to a lack of transparency and naturalness. Mixes tend to become pragmatic — not beautiful and open. 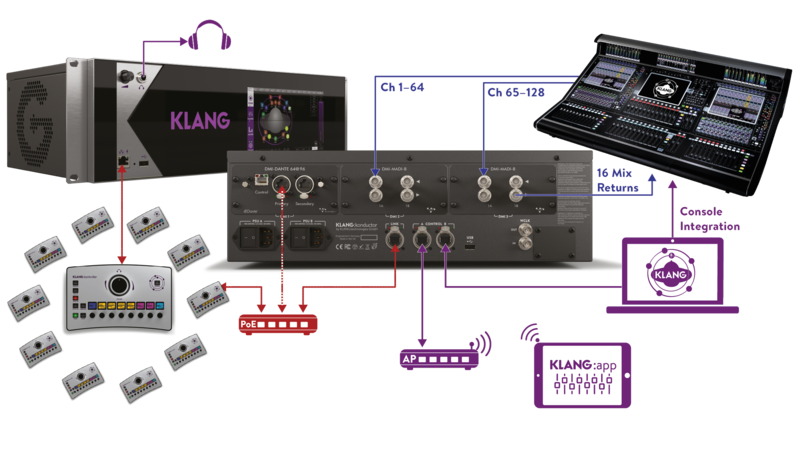 KLANG:technologies innovative 3D personal monitor mixing system is the first breakthrough development since the introduction of in-ear monitoring. A natural and intuitive placement of sound, with pristine sonic quality that lets musicians focus on their art — not on their monitor sound. Our 3D In-Ear Mixing system makes spatial and transparent In-Ear Monitoring possible – from personal mixing for you band to large scale mixing for orchestras and touring monitor engineer. And the best thing is: it works with your own In-Ears and Headphones. You will never go back to stereo!